It’s the day after a tough workout. Your muscles are tight. You feel sore, maybe slightly stiff. When you workout, small tears are created in the muscles. Muscle and strength are built when our body repairs these tears. However, they can often leave you feeling slightly achy the days following a tough exercise session. Many individuals frequently neglect the post-workout recovery stage. Yet, it matters – a lot. What you do post-workout significantly impacts how long it takes for your body to recover and how fast you progress toward your goals. It also plays a huge role in preventing injuries, which could potentially setback your goals. So, how can you boost your post-workout recovery? 2. Foam Roll it Out! Stretching should be part of your regular workout cooldown. It helps to keep your muscles flexible. Without it, you could be leaving yourself prone to injury. When you exercise, your muscles contract and shorten. If you don’t stretch them out after, they may become less flexible, and less mobile. But what stretches should you be doing? The rule of thumb is to stretch the muscles you worked. For example, if it was your leg day, stretch out the major muscles of the leg such as the calves, quads, hamstrings, and glutes. Hold each stretch for 20-30 seconds for optimal effectiveness. Foam rolling is a form of myofascial release. Myofascial release is a technique where pressure is applied to the tissues to decrease connective tissue restrictions and adhesions. If you have ever been to a registered massage therapist, they may have used this technique on you. It aids in pain relief and helps to relax the muscles and tissues, restoring regular function and movement. Foam rolling provides a great way to perform self-myofascial release. It also helps reduce the common delayed-onset muscle soreness, or DOMS. When using a foam roller, apply pressure to the area. Often, this involves sitting or lying down on the foam roller. As you apply a moderate amount of pressure, you move the foam roller back and forth over the tight or sore muscle. Do this for at least 2 minutes on each sore or tight muscle. Don’t have a foam roller at home? Check out the Fit-Nation Foam Roller on Amazon. Click here to order yours! Yoga Tune Up Balls provide a similar effect to foam rolling. Yet, these guys can dig in deep and help better release the larger muscles, such as the glutes and hamstrings. Check them out here on Amazon. Light cardio can help clear the toxins and lactic acid from your muscles. It gets the blood pumping and encourages optimal muscle recovery. Instead of doing nothing on your rest days, go for a light walk or bike ride – make sure it’s low impact. You’ll feel better after and much less sore. Always make sure to drink lots of water before, during, and after your exercise session. Drinking enough water after is necessary to help the muscle flush out toxins. Surprisingly, dehydration can cause your muscles to become even more sore and potentially cause cramps. Make sure to drink up after your workout to help your body bounce back. Aim for at least a cup or 2 in the first 30 minutes after your workout. You are what you eat. And what you eat can definitely help speed up the recovery process. Protein is the building blocks of muscle. Whey protein, in particular, can help you maximize your muscle gains and optimize your recovery. Try the PROGENEX Post Workout Supplement from Amazon for a healthy post-workout protein shake. It is further important to make sure you eat a meal after your workout. You have likely just expended a lot of energy. And it takes even more energy to recover. Go for a healthy and nutritious meal, such as chicken and sweet potatoes or salmon, rice, and veggies. Avoid going for a junk food reward. Processed or pre-packaged foods that are high in calories and low in nutrients won’t help your recovery or help you reach your fitness goals. On average, most people get less than 7 hours of sleep per night. However, sleep experts recommend getting at least 7-9 hours of sleep per night. Sleep is important for a number of reasons, such as helping you maintain a healthy weight and improving your concentration levels. 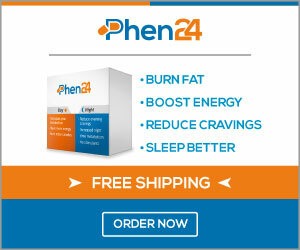 In terms of muscle recovery, the human growth hormone is released during sleep. This helps build muscle and enhances muscle recovery and repair. Many die-hard gym-goers hate rest days. But, rest days are just as important as what you do in the gym. Give your muscles time to recover. Back-to-back workout sessions could potentially set you up for injury. As aforementioned, you can do light cardio to boost your post-workout recovery. Just make sure to avoid doing the same muscles groups one day after the other. For example, if you just did leg day yesterday, give your legs a break. Do an arm day the next day. There are so many ways you can boost your post-workout recovery. Take of yourself and your body after your exercise sessions! By doing so, you’ll reach your goals faster than you ever thought possible.